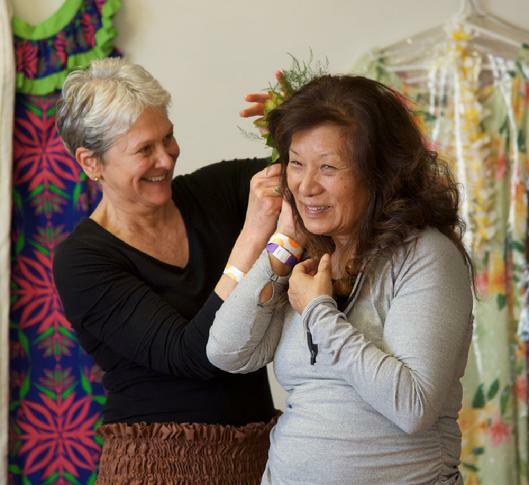 This two-day workshop on Kaulana Na Pua was a magical weekend event for everyone involved. 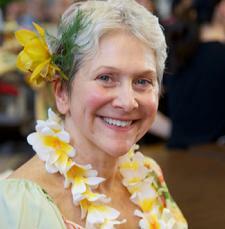 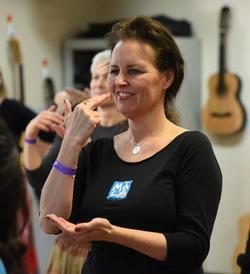 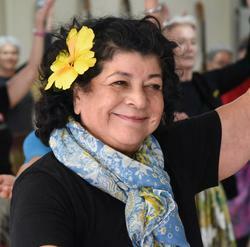 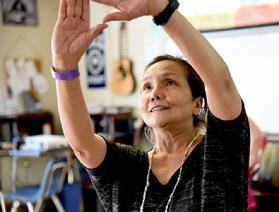 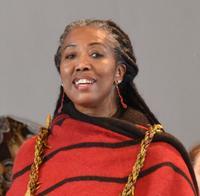 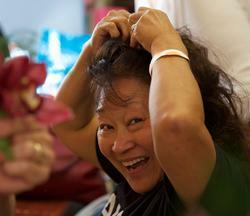 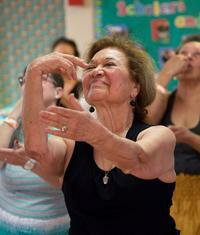 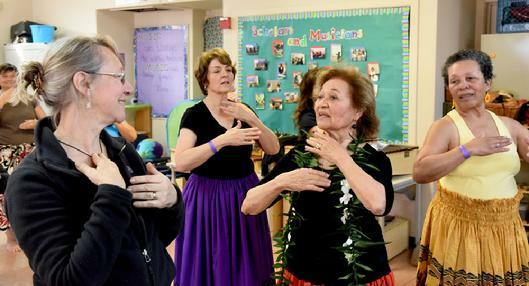 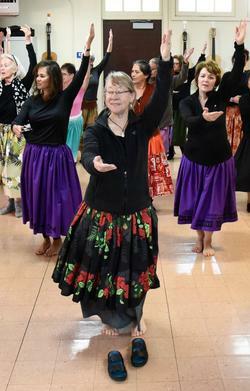 Betty Ann taught it as part of the Mahea Uchiyama Center for International Dance annual Kapili. 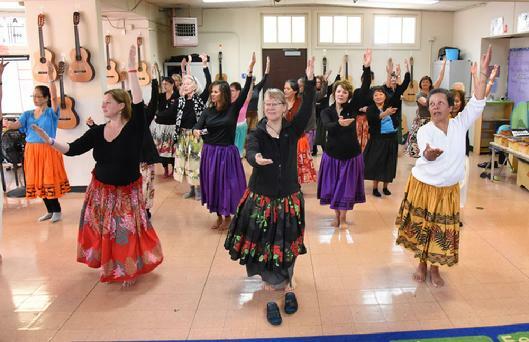 The haumana focused energy and diligence to make the five verses of this most historic anthem resonate with power and grace, and their hard work brought deep rewards. 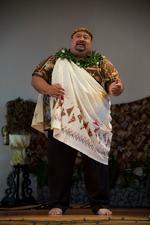 Ten of those haumana were from Hula Mai and the other 15 were mostly from the Bay Area, but one came from Canada! 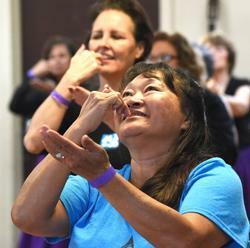 Since Kaulana Na Pua stands apart from other hula, the Kapili was a perfect place to teach it--a special setting for dancers who were willing and able to go out of their way to learn it and steep themselves in it for the entire weekend. 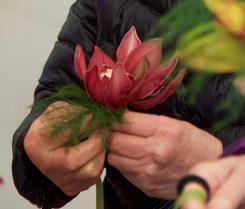 Can you tell how much we loved it??? 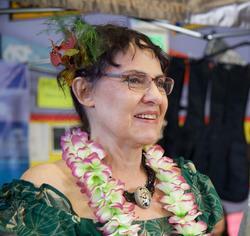 Seriously it was a wonderful, fulfilling weekend of true Aloha. 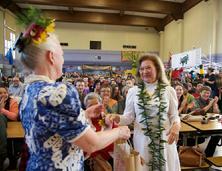 It was the spirit of aloha in a loving environment for learning! 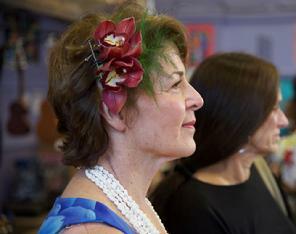 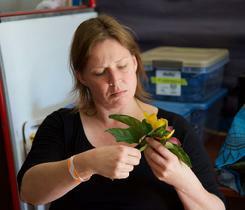 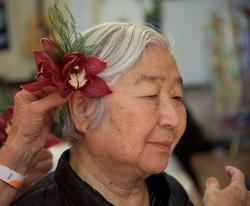 Adding her own special brand of aloha, Hula Mai’s Mary Ayres sent fresh cymbidiums and ferns and everyone made beautiful hair adornments for the Ho`ike Sunday afternoon. 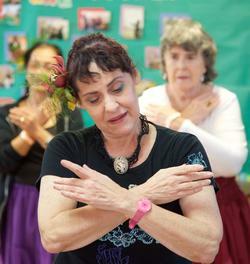 After two days of intensive learning it was time for Betty Ann's Gracious Ladies to strut their stuff. 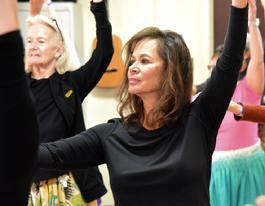 And boy, were they ready!! 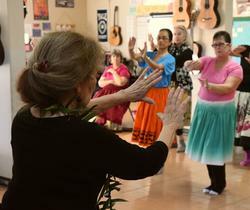 Click on the icon to the right and watch the video of our Gracious Ladies performing Kaulana Napua at the Kapili. 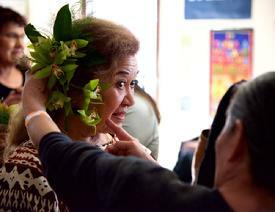 Thanks to Kumu Liko's friend Toki for shooting the video.